But it goes way beyond bones Magnesium is essential to a wide array of body functions. ** It’s a component of over 200 enzymes in the body, is a needed partner for Calcium absorption, helps support the health of the entire skeletal structure, plays a role in energy metabolism… and the list goes on and on. ** People who watch their sugar metabolism can benefit from Magnesium’s support. ** And because it plays a role in nerve cell health and muscle contractions, active individuals sometimes supplement with Magnesium. ** Overall, Magnesium may be considered as important as Calcium. Thankfully, we’ve got you covered! Other Ingredients: Vegetable Cellulose, Dicalcium Phosphate. Contains <2% of: Silica, Polydextrose, Titanium Dioxide Color, Talc, Citric Acid, Vegetable Magnesium Stearate and Triglycerides. Magnesium Oxide 500mg is rated 4.8 out of 5 by 24. 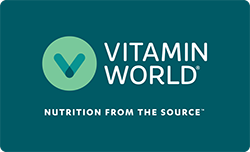 Rated 5 out of 5 by pjones from I've used VitaminWorld Excellent Product does what it is advertised. Rated 5 out of 5 by Kathy from Excellent product Says all it says it will do. Like taking only natural products. Rated 5 out of 5 by Anonymous from Excellent product Product is excellent. And his value is so good.